Get your Superdry gift card balance online by clicking here. The first Superdry store opened in London’s Covent Garden in 2004 and rapidly expanded into major towns and cities across the United Kingdom. Its clothing is available in over 40 countries worldwide. Superdry doesn’t advertise hugely, nor court celebrity endorsements but has nonetheless benefitted from the likes of David Beckham being seen wearing the range. Where can I check my Superdry giftcard balance? You can check the balance of your Superdry giftcard at any Superdry store in the UK. Click here to find your nearest store. You can also check the balance of your Superdry gift card online, click here. Where can I buy a Superdry gift card? 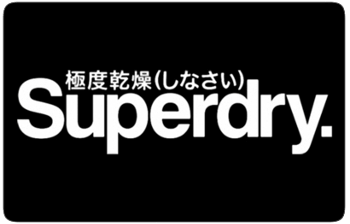 Superdry giftcards are on sale from all Superdry stores in the UK. Click here to find your nearest store. You can also buy the giftcards online, direct from Superdry for delivery. Click here for more information. Where can I spend my Superdry gift cards? Anything else I need to know about Superdry gift cards? Superdry Gift Cards are valid for 24 months from the activation date. Any remaining balance left on the card after 24 months will be removed and the card will become invalid and no longer available for use. Due to technical constraints, you can only redeem 2 cards at a time for any purchase either online or in the stores. However, if you take the cards into store they can combine balances onto one card, which should solve this issue.